My Hughes Families originated in a small village nine miles to the North East of Canterbury, Kent which is usually called Preston next Wingham to distinguish it from the Preston by Faversham, Kent and the large town of Preston in Lancashire. This area is in a flat farming region in the Valley of the Little Stour. There are many orchards and nurseries nearby. 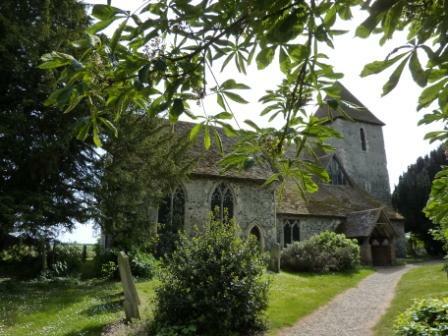 The Parish Church of St Mildred is somewhat separated from the village down Court Lane. 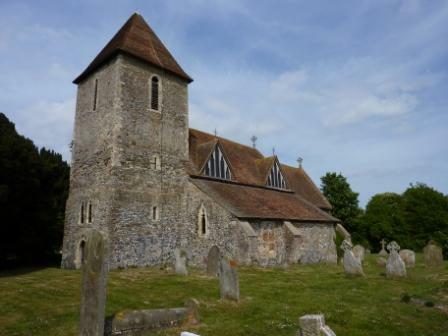 It dates from the 12/13C with later restorations and is of a particularly attractive design with dormer windows in the roof above the main aisle. 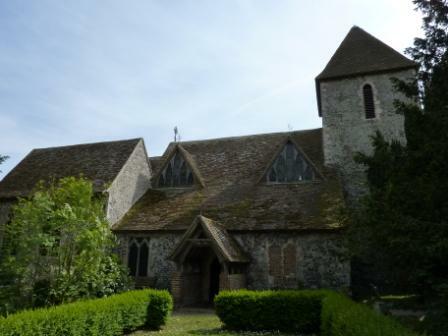 The Church records began in 1558 and are housed at the Centre for Kentish Studies. Preston is in the Eastry Registration District. Great great great grandfather Thomas Hughes was a gardener in Preston next Wingham and he continued in this occupation when he moved to Dover and Folkestone. His son Charles was also a gardener in Dover and later in Folkestone. 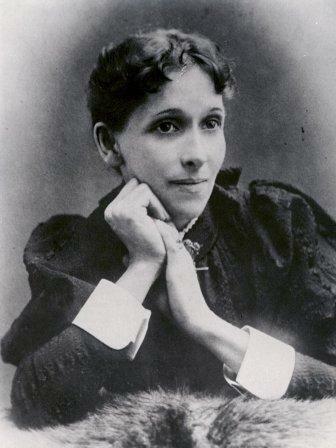 Charles married Sarah Ann Lewis of Dover in 1855 and later he moved to Folkestone. The Arthur MacDonald buried with Charles and Sarah Ann Hughes is their grandson. 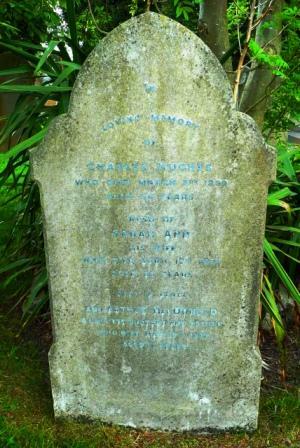 He was the son of William MacDonald and Susanna Hughes born in 1897 Folkestone. This is Charles and Sarah Hughes′ Family.